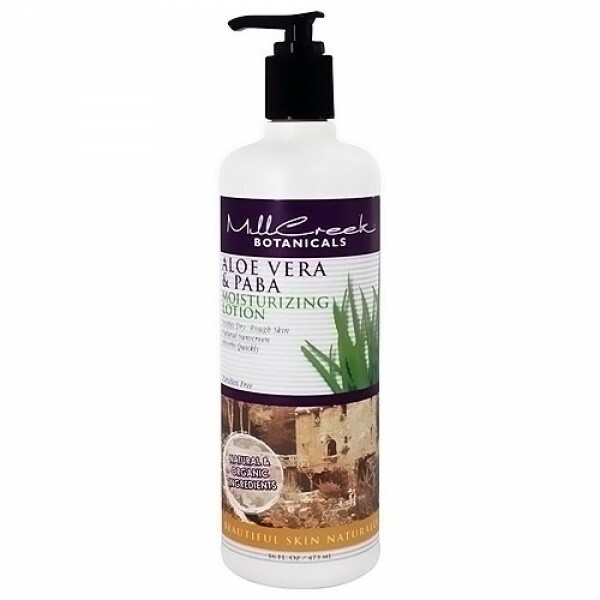 Helps to moisturize dry skin and soothe minor skin irritations. Our high-potency formula nourishes skin by replenishing moisture and nutrients lost to harsh environments and helps keep skin smooth and supple. Aloe vera gel helps to moisturize dry skin and soothe minor skin irritations like shaving burn, detergent rash and dry cracked skin. PABA provides natural protection with its UV absorption qualities. Purified Water, Safflower Oil, Glyceryl Stearate SE, Stearic Acid, Cetyl Alcohol, Organic Aloe Vera Gel, Octyl Dimethyl PABA, Panthenol (Pro Vitamin B5), Lecithin, Honey, Royal Jelly, Allantoin (Comfrey Root), Retinyl Palmitate (Vitamin A), Tocopherol (Vitamin E), Apricot (Prunus Armeniaca) Oil, Corn Oil, Barley Extract, Lemongrass Extract, Ginseng (Panax Ginseng) Extract, Potassium Sorbate, Sodium Benzoate, Triethanolomine, Phenoxyethanol, Natural Fragrance. Apply regularly before and after exposure to the elements. Pay special attention to legs and arms. Also treat to a delightful, luxurious after bath body rub. 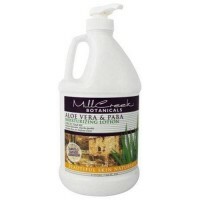 Mill creek botanicals moisturizing lotion aloe vera and paba - 64 oz.